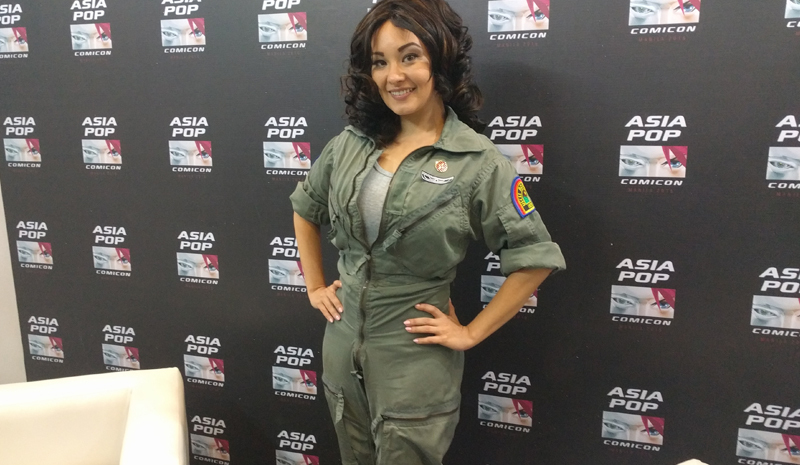 Check out the best things about Asia Pop Comic Con 2016! It doesn’t matter if you’re a fan of Marvel Comics or Star Wars. All fandoms were welcome at the Asia Pop Comic Con (APCC) 2016. From toys and collectibles to posters and original art, no one went home empty-handed during the three-day affair that took over the whole SMX MOA building. What sold the event was the great experience one could get even by just attending one day – provided you knew exactly what you wanted to do. 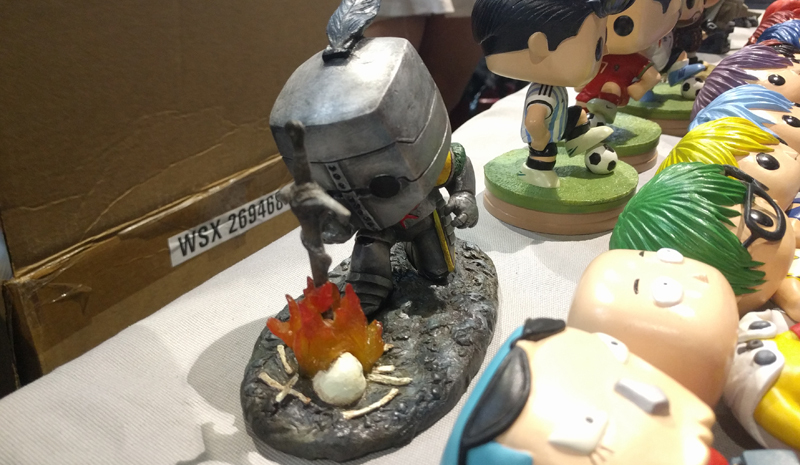 Devilrobots, Toumart, and Dokutoku460 were some of the toymakers that dropped by APCC to showcase their wares. Of course, there were Gunpla model kits, custom Funko Pops, Tomica cars, and LEGO present during the event. The selection wasn’t as extensive as a dedicated toy convention would host, but the presence of the Japanese toymakers more than made up for the lack of variety. Plus, the makers themselves were on hand to sign their creations! 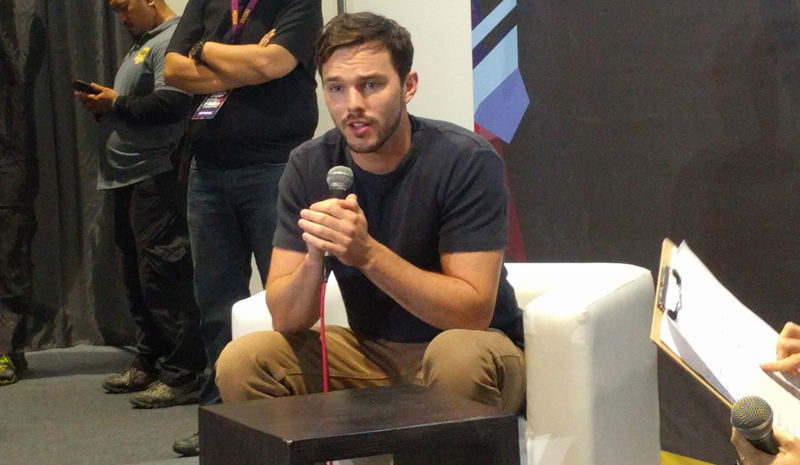 Known in the geek community as Beast from the revamped X-Men movie franchise, actor Nicholas Hoult made the ladies swoon as he gamely posed for photos and answered tough questions, like his favorite ice cream flavor (Neopolitan), who would he want to portray among the other X-Men cast if he could (Magneto), and if the X-Men would win a fight against the Avengers (the X-Men can win through sheer numbers). The breakout star of Stranger Things was Millie Bobby Brown as Eleven, hands down. The actor was overwhelmed by local fan support during her meet and greet session, and never failed to keep the crowd cheering. Like Nicholas, Millie also answered questions like if shaving her head was a tough decision to make (it wasn’t), who among the Stranger Things boys she likes (she likes them all), and revealed that she would want to be a singer if she wasn’t an actor. 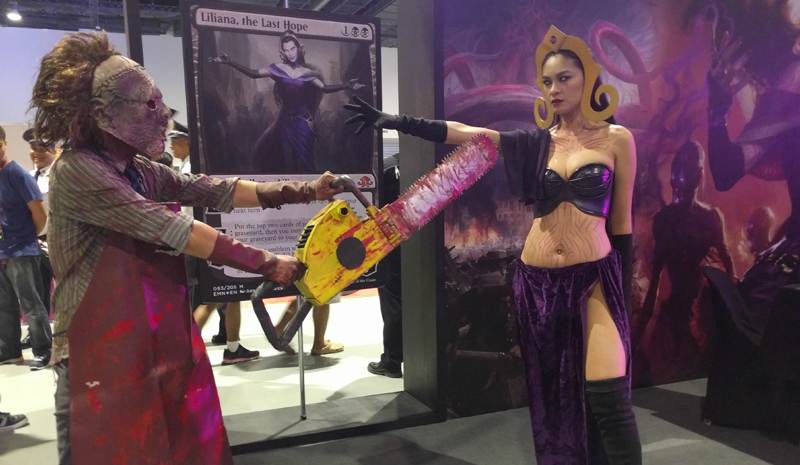 Something new to APCC was the appearance of a large Magic: The Gathering booth. The booth was a learn-to-play area, where con goers could take home a complete playable deck once they go through the tutorial with facilitators. 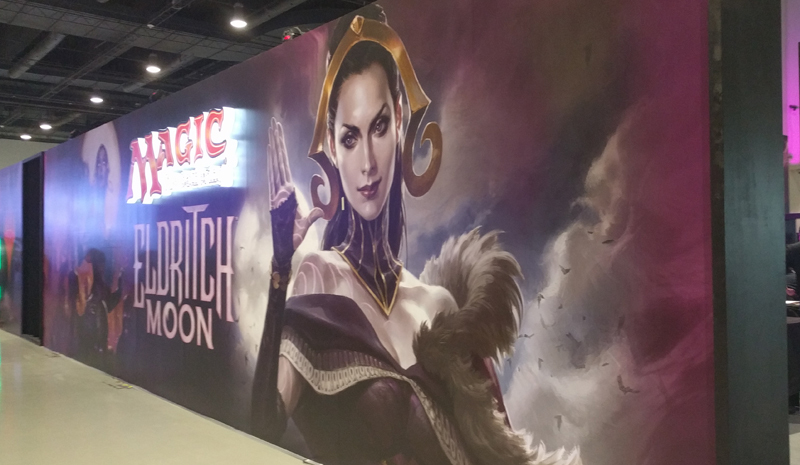 It also coincided with the release of the latest expansion for the still-popular card game, Eldritch Moon. 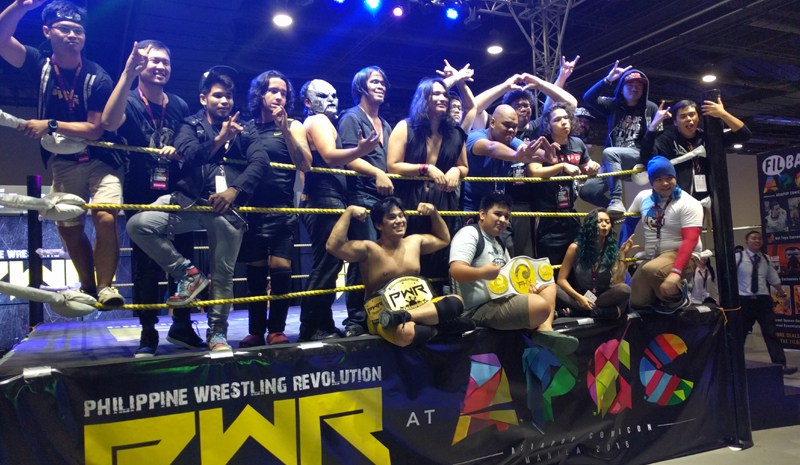 The boys and girls from the Philippine Wrestling Revolution took to the ring in the middle of the APCC event area and showcased how the local wrestling scene has gotten a much needed shot in the arm. The wrestlers brought the hype, and gathered large crowds during their matches – proof that Pinoys love seeing heroes and heroines beating villains, and how the protagonist overcomes the most difficult odds to get that three-count victory. No geek convention would be complete without cosplayers, and APCC brought them out from the woodwork. All forms of fandom were well-represented during the weekend, from Star Wars to Marvel and DC Comics, to Pokemon and even video games like Overwatch. It seems like people are getting better and better at their cosplay, having graduated from regular cardboard cut-outs to actual 3D-printed armor pieces. 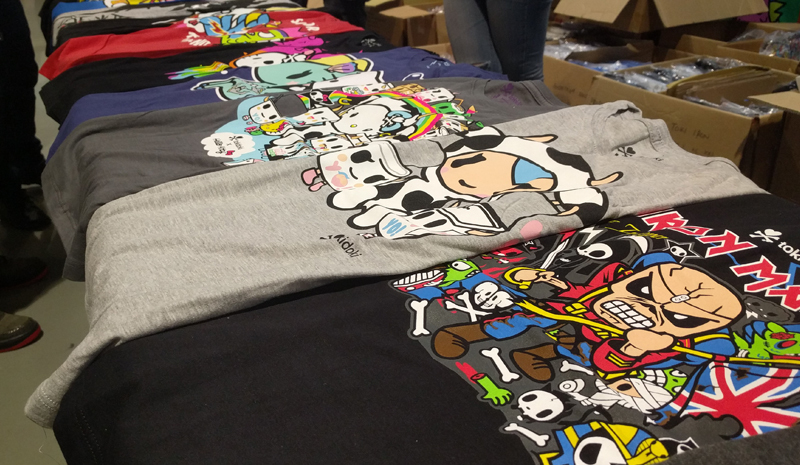 Foreign lifestyle brand Tokidoki made an appearance at APCC, and a lot of people tried their luck at the blind boxes for sale. Most were drawn to get at least a shirt or a cap, as artist Simone Legno met with Tokidoki fans to sign their purchases. The booth also sold APCC-special merchandise in the form of shirts, caps, and bags. 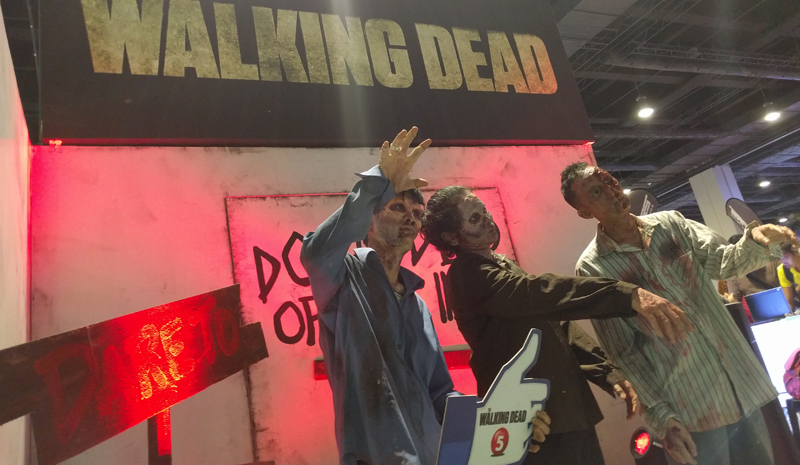 Zombies gamely posed for photos at The Walking Dead booth, where people can line up to be willingly locked in a room threated by Walkers. It was a Breakout-type of game, where people need to decipher the clues around them (in a dimly-lit room no less), enter the correct code, and gain the key before being overrun. Big names in cosplay like Riddle, Lindze Merritt, and Ani-Mia were present during the three-day event, signing their prints, posing for photos, and of course, judging the Manila leg of the Cosplay Authority Global challengE (CAGE) Competition, one of the most prestigious cosplay contests in the region. Riddle, Lindze, and Mia also met with the media attendees for a few rounds of Q&A. 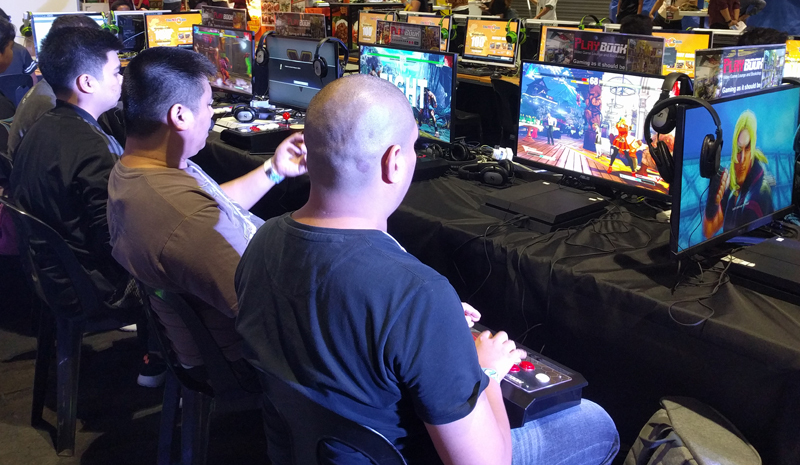 Gaming was also part of APCC, as PlayBook Video Game Lounge and Bookshop held a very successful Street Fighter V tournament. Players from different parts of Manila braved the bad weather to be able to test their skills to win a hefty cash prize. Attendees were also treated to free play sessions with actual fight sticks to simulate the arcade experience we all grew up to enjoy.